Anatoli Boiko, D. Sc., Full Professor, is a Head of the Turbine Projection Chair; the founder of a new scientific approach to turbine projection - optimal design of turbomachines; author of many articles and several books on one dimensional, 2D and 3D optimization of the axial turbines flow paths; winner of the State Prize of Ukraine in science and technology. 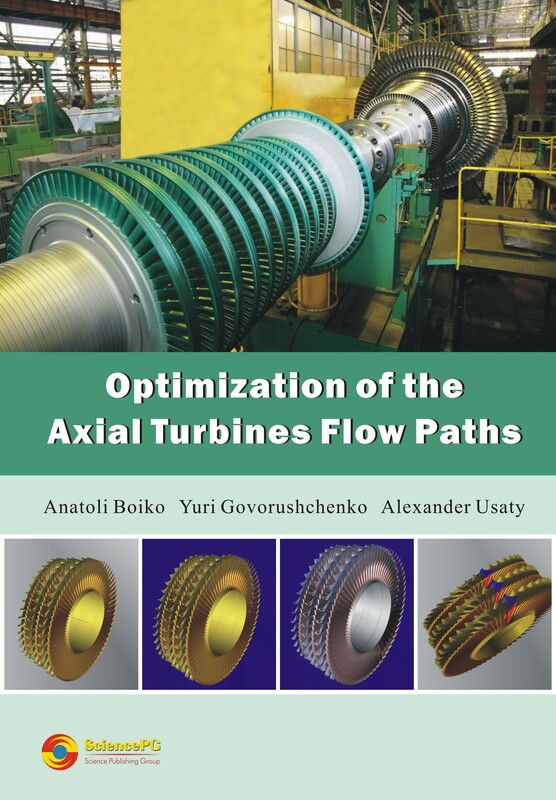 Yuri Govorushchenko, is a Senior Research Fellow, Ph.D; the largest specialist in optimal design of turbomachines; author of several books, articles and programs on one dimensional, 2D and 3D optimization of the turbine stages, modules and cylinders of the steam and gas turbines. Alexander Usaty, is a Senior Research Fellow/lecturer, D.Sc. ; a well-known expert in the field of optimal design of turbomachines; author of one book, several articles and programs on the multi-criterion, multimode and multi-parametric optimization of the steam and gas turbines cylinders. A new approach to solving multilevel complex problem – the optimal design of turbine unit as complex technical system is comprehensively reviewed using a block-hierarchical optimization process that ensures the maximum global quality criteria of the system and its reliability. The fundamentals of the theory for the optimal design of flow paths of turbomachines are presented, including mathematical models of flow path elements, determination of the optimal number of turbine stages and the distribution of the heat drop between them, optimization of the spin laws of the nozzles and blades of axial turbine stages, taking into account slope and curvature stream lines, as well as leaks. Methods for creating optimal profiles considering the strength limitations are given. The problem of the spatial optimization of the shape of turbine blades using computational aerodynamics is described. Also presented are examples of the application of the theory to the projection of the optimal flow path of modern steam and gas turbines, taking into account their operational mode. For researchers and experts in design, calculation and research on turbomachines. Useful for University faculty members, post- graduate students and senior undergraduate students of Technical Universities.